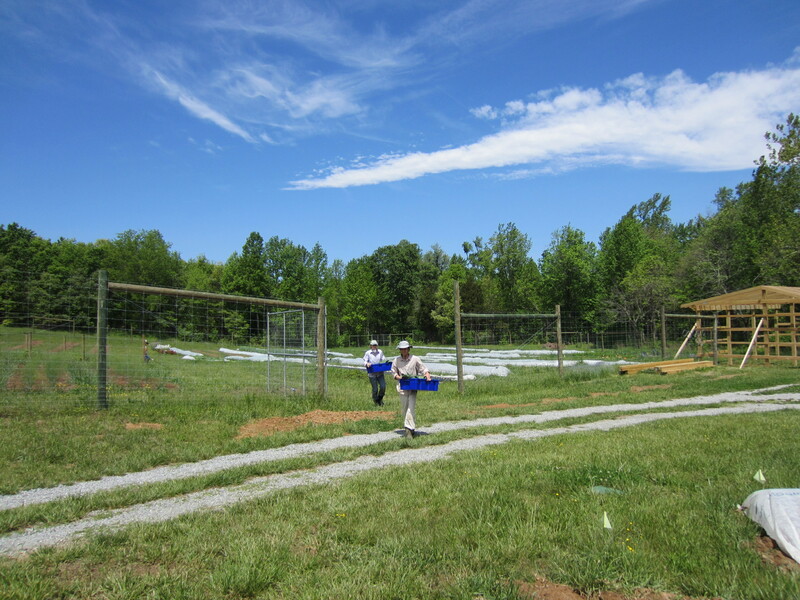 Friday we spent a full day harvesting for the opening day of the Forest Farmers’ Market. Thanks to everyone who came out on a chilly spring Saturday morning to support local agriculture! We enjoyed seeing familiar faces and new folks as well! 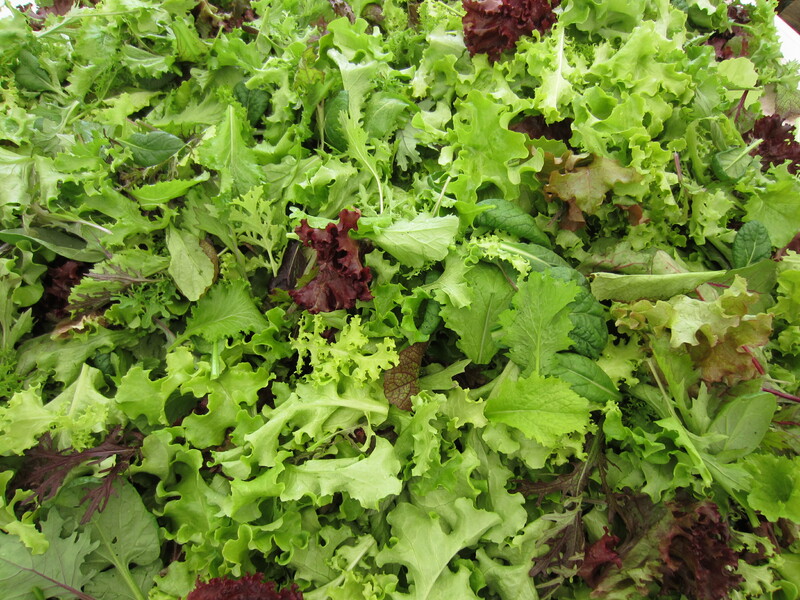 We harvested tons of salad mix for the market. 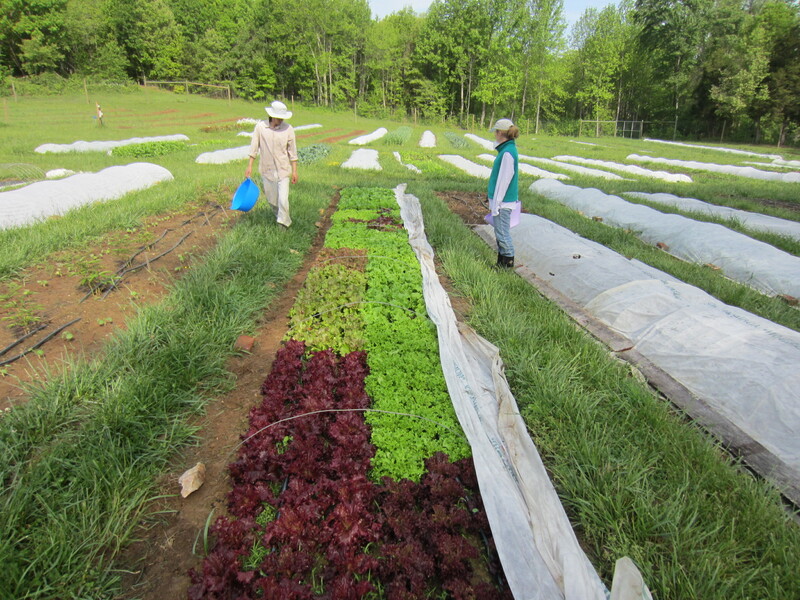 This is a row of many varieties of leaf lettuces that we put in the salad mix. We have always had some difficulty growing spinach. It never seems to want to germinate reliably, yet the market for it is insatiable so we keep trying. We may have to start transplanting it in instead of direct-seeding. 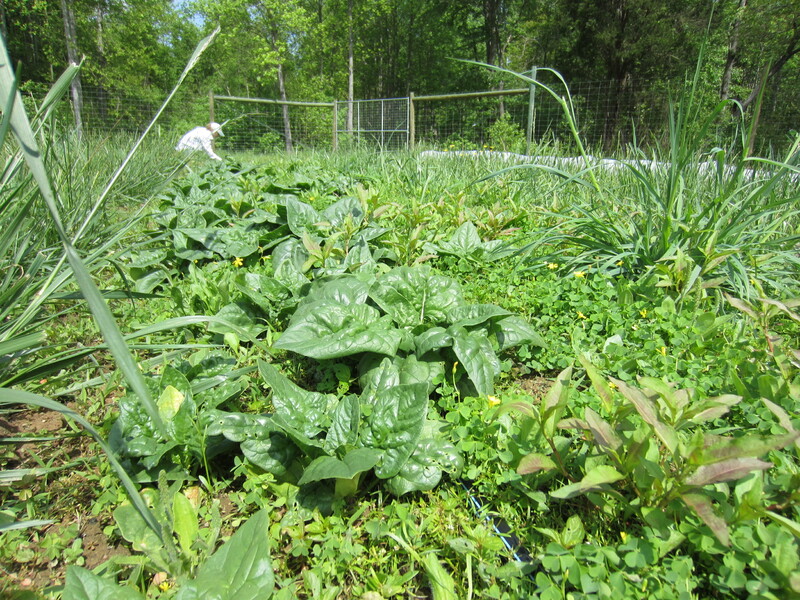 This row had spotty germination so I didn’t spend any time weeding it out… and yet what did survive has grown incredibly well, due in part to some freezing weather that nuked the first flush of weed growth. Enjoy these green gems while they are still in season! 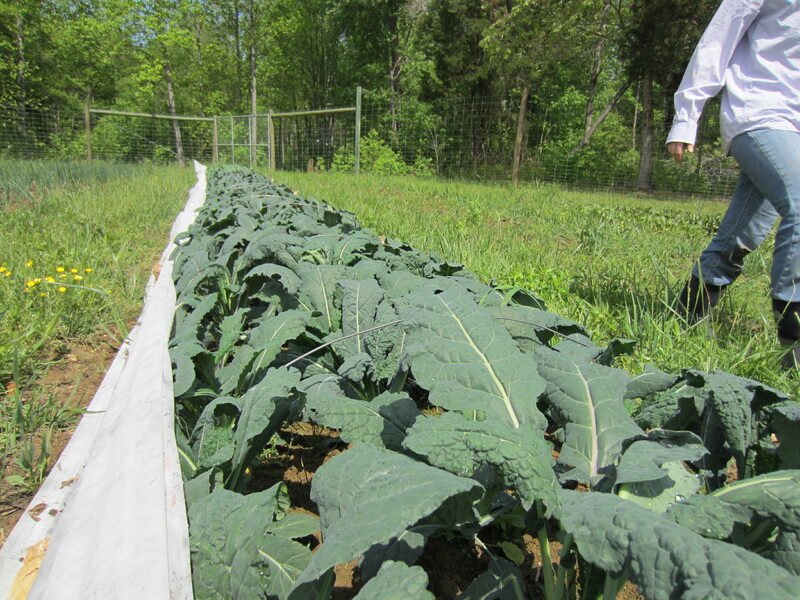 The lacinato ‘dinosaur’ kale has grown so well this year… with beautiful large dark leaves. All our hard work in improving our soils is starting to pay off. We harvested a lot of the onions I planted last fall. 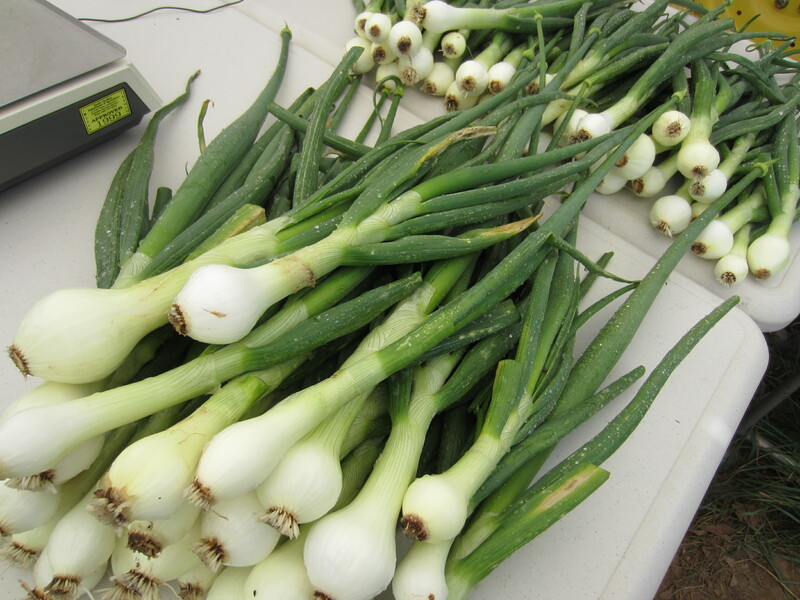 They are starting to put up flower stalks so we will eat them as fresh onions instead of bulbing onions. All parts of the onion plant are edible. You just have to harvest before the stalk turns woody and fibrous. I either planted them a little too early, or they didn’t like the very warm winter weather. It is a mystery. So much anticipation and preparation for the first market… months of hard work coming to fruition. It is worth the work to eat the freshest food and seeing smiling, happy faces at market.